The Simpson family best invest in a larger sofa because the Chelsea family have rolled into Springfield. The Blues are the latest club to be ‘Simpsonised’ by creator Matt Groening and will feature in a line of new merchandise as well as a special World Cup episode of the long-running US cartoon, in which Homer will become a referee in Brazil. Anyone for England out on penalties? 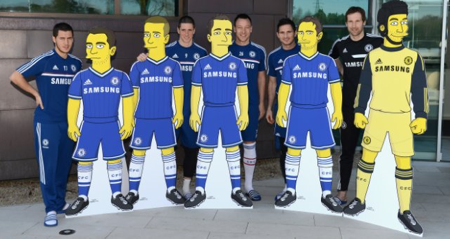 The club released images of club captain John Terry, Eden Hazard, Fernando Torres, Frank Lampard and Petr Cech in cartoon form, whilst centre-half David Luiz of course has been portrayed by Kelsey Grammer since 1990 as evil sidekick, Sideshow Bob. And for the Brazilian’s defensive partner JT, it’s a dream come true. He said, “It’s great to see myself and the other players as Simpsons characters. The Simpsons has won 28 Emmy Awards in the 26 series it has produced and has teamed up with a number of teams ahead of the World Cup, whilst both Cristiano and Brazilian Ronaldo have already been welcomed into Springfield. 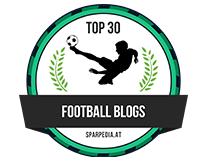 Top internationals from Barcelona, Corinthians, Juventus, Boca Juniors, Zenit St Petersburg, and Porto have all been turned yellow recently, marking a significant marketing campaign for Brazil. Co-branding is coming into play more and more in recent times. 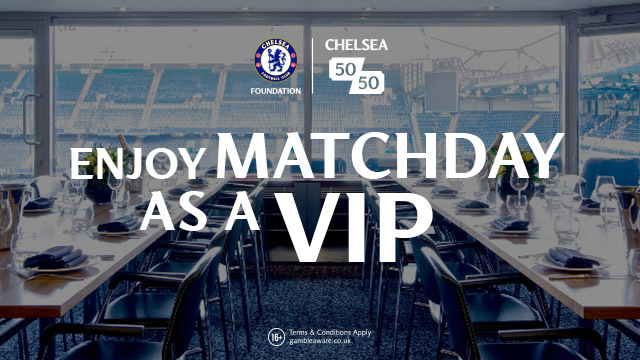 The Chelsea brand and The Simpsons is certainly an exciting prospect, whilst the likes of Michael Jordan has become synonymous with Nike and Full Tilt Poker have begun an interesting venture with Cancer Research UK. The club are no strangers to this. The Simpsons is just one adventure in a long line which has seen the club team up with Rotary watches, Vietnamese bank VietinBank, and even created their own brand of crisps in the Far East. Whether we’ll be seeing any more products from the Blues in the near future it’s unknown. 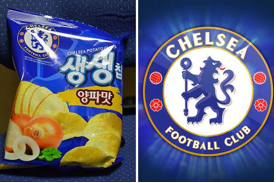 And we’re sure we’re not the only ones who would like to see Chelsea doughnuts or Blues beer hit our shelves soon. New found fan Homer would too!